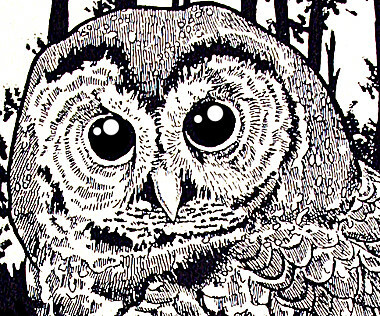 My pen and ink submission of a spotted owl for Illustration Friday's "Spotted" theme. I believe it was done in 1995. 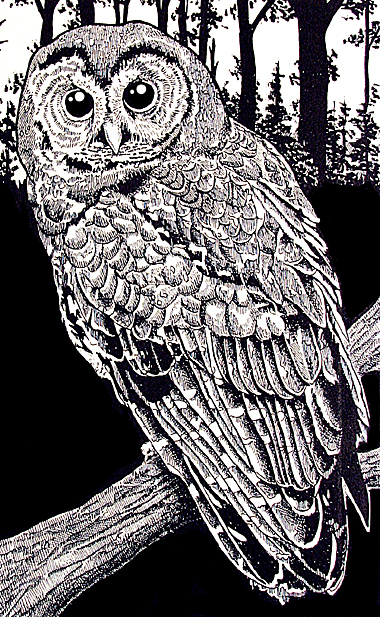 Your pen and ink work is breathtaking, beautiful piece!